Almost one year ago, I sat in Dallas Texas staring at a white Range Rover Sport for sale. Owned by a mother of two and sitting atop 20″ wheels with low profile tires, the car had certainly done its time fulfilling the Sport’s stereotypical service as a soccer mobile, but all that was about to change. 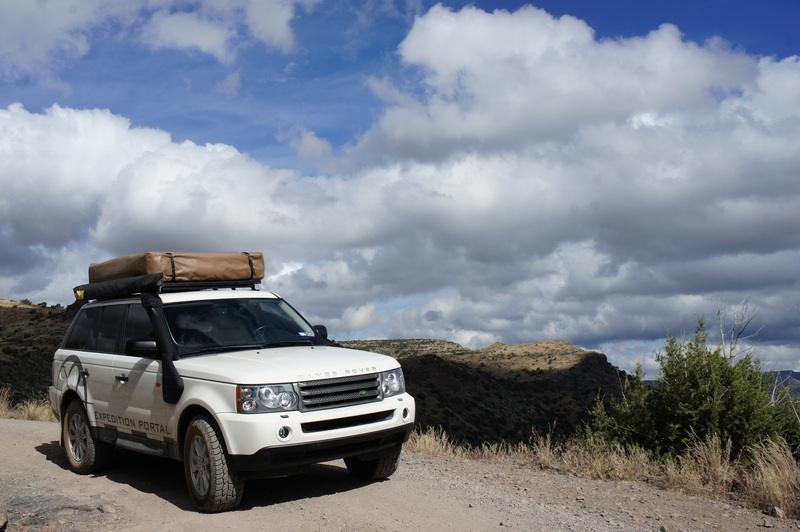 My goal was to turn the vehicle into the perfect combination of daily driver and back-country explorer through changes in suspension, wheels and tires, and living systems. Although it started as a mall-cruiser, 15,000 miles and many adventures later, I feel that it has earned its green oval. 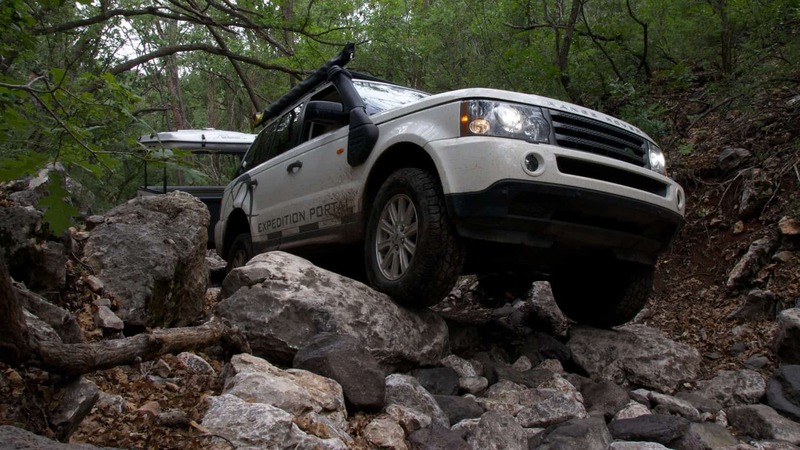 In this final section of our article series we’ll take a look at how the car handles on the trail, what it’s like to live with it everyday, it’s effectiveness as a tow vehicle, and address that ever pressing question of just how reliable is a Land Rover? 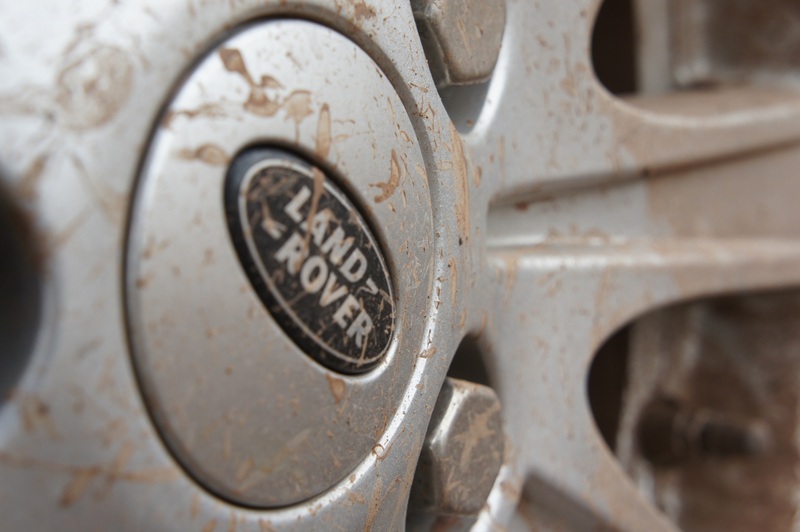 The Range Rover Sport began as a project of compromises. I’m a realist when it comes to vehicles and any SUV claiming to be off-road capable, luxurious, and somehow sporty as well, is the automotive equivalent of utopia, it’s just too good to be true. I went into this project knowing the Sport would never be a Jeep Wranlger, but it would also make up for that missing capability with pleasurable daily driving. 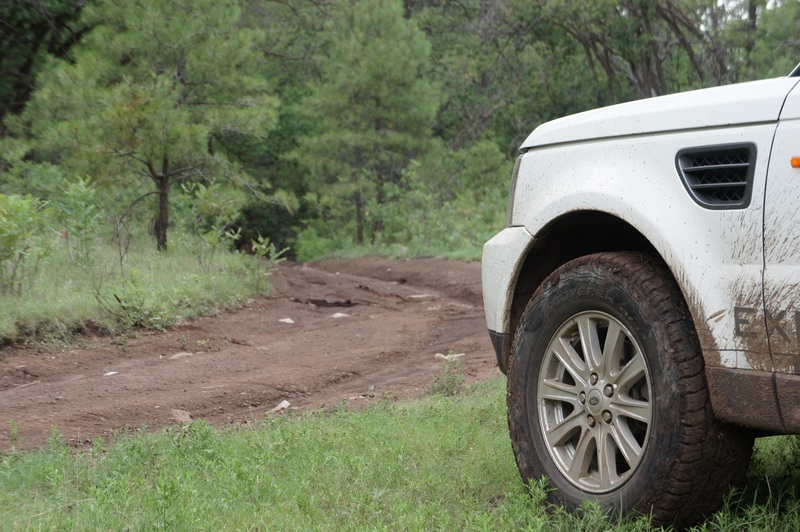 Much to my surprise, the Range Rover Sport exceeded my expectations and proved to be very effective on the trail. Obviously some of the biggest advantages gained through a single modification was the traction and reliability achieved by switching to an 18″ wheel and a set of Cooper AT3s. We always stress the importance of a proper set of tires when going into the backcountry, and the Cooper has proven to be the perfect choice thus far. The additional traction over the original tires is impressive, and in mud, on wet and dry rocks, through snow, and over sand, these tires have pulled us through again and again without issue or signs of wear. 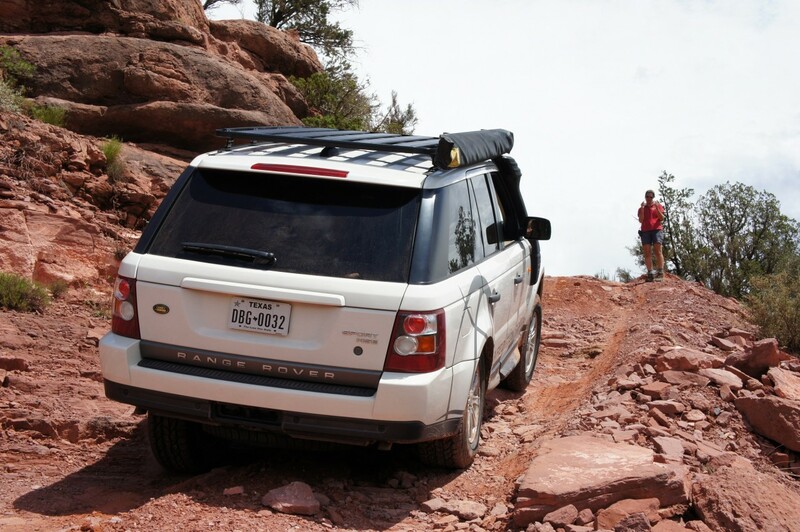 When the tires weren’t enough to keep traction, and the terrain’s demands were too much, the Range Rover’s impressive Traction Control (TC) and Terrain Response systems kicked in. 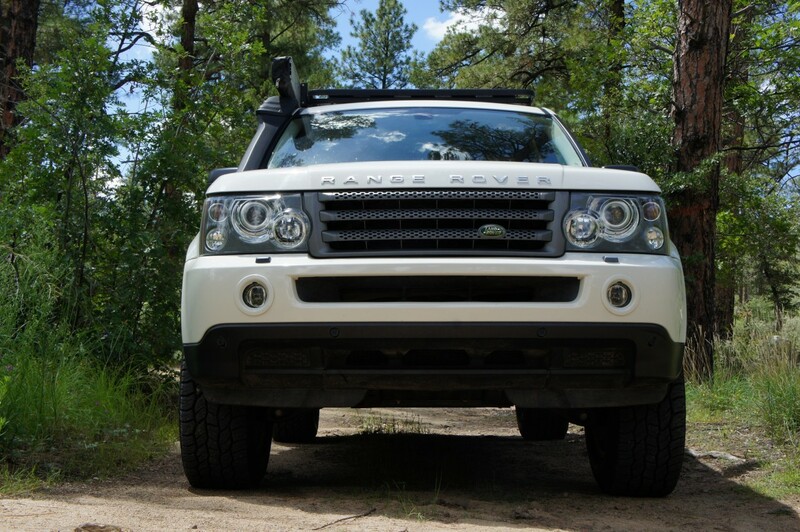 Originating from the LR3, I expected them to be effective, but the level of performance in various terrains and speeds was amazing. On rocky trails the Sport seemed quite at home, articulating, spinning for just a second, and then correcting with TC inputs to allow for a smooth ascent up over the obstacle. I did find that when heavy traction input from the computer was required, such as on an abrupt slippery rock face, the Sport needed more initial throttle to recognize TC was needed. Frustratingly, the art of smooth inputs, small corrections, and left foot braking seems to elude the computer. When these best practice methods are used, spinning tires and a bouncing effect are generally the result. A quick blip of the throttle when starting the crawl followed by a low consistent RPM is much more effective and keeps the obstacle slow and smooth. While the Terrain Response system did a great job in all situations, I loved using it on sand the most. Heavy vehicles like the Sport seem to get bogged down quite easily requiring special attention to throttle and shifting. Sand mode keeps the RPMs high and allows you to drive the truck like normal and enjoy the ride. It was especially handy when allowing less experienced drivers to take the wheel on long wash sections. 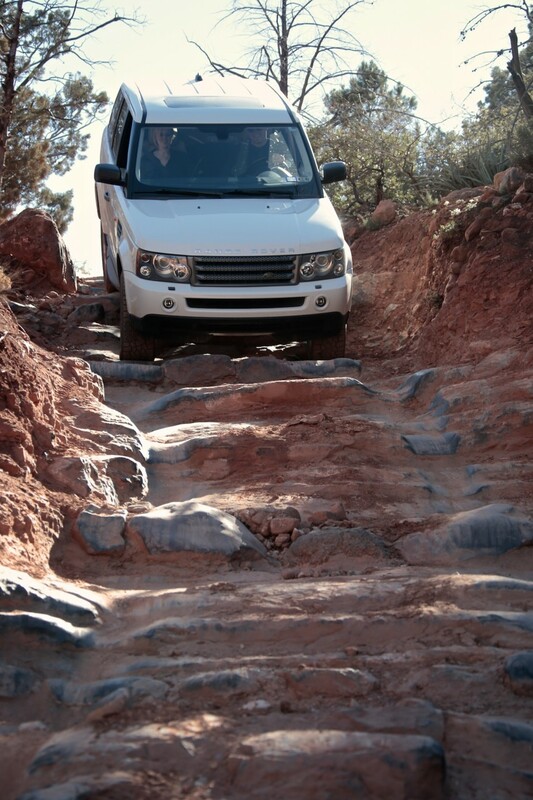 In terms of clearance and maneuverability, the Sport once again did not disappoint. The turning radius is better than any SUV, truck, or even car, I’ve owned which helps tremendously in tight portions of trails. 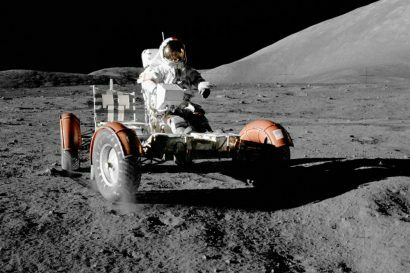 Thanks to taller tires, a Johnson Rod lift, and the impressively flat undercarriage, the approach and departure angles proved to be sufficient in every situation. Even on known problem obstacles where it would always feel like you were going to bottom out, the Sport would somehow clear without issue. Only once did we scrape a panel underneath the truck, and it was due to a bad line forced by an irresponsible driver going the wrong way on the trail. 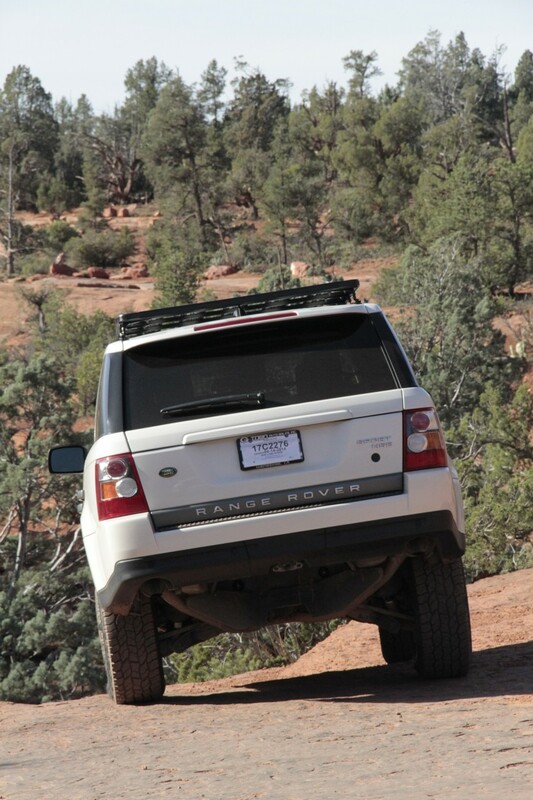 Of course, if you ever find yourself needing a little more clearance you can always use the Sports party trick, lifting the air suspension to Off-Road mode. 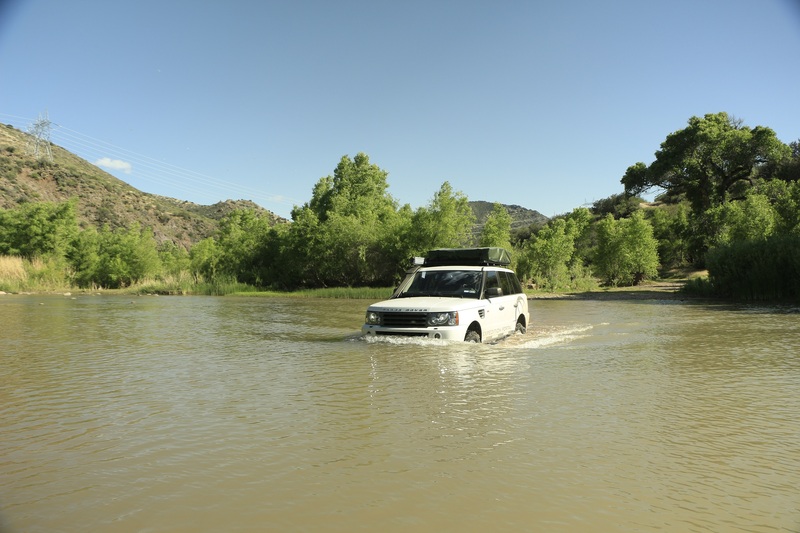 We don’t recommend driving long periods of time on it as the ride becomes harsh, but it will certainly get you over that pesky boulder field or through that deep water crossing. As a bonus to the fun factor of driving this vehicle on the trail, we always got a kick out of the reactions, looks, and comments, from passerby’s. Driving past Jeeps, Toyotas, Hummers, and other Land Rovers, we were always greeted with mouths agape, concerned voices telling us we needed to turn around, we would never make it, asking how the heck we got there, and the always pleasant “what in the hell do you think you’re doing with that thing! 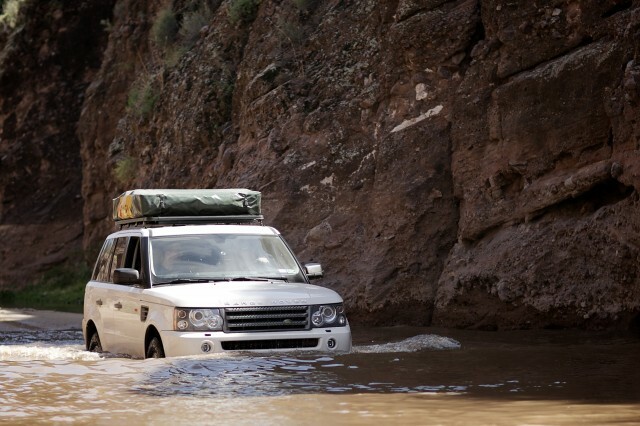 ?” Of all the comments however, my favorite occurred during a water crossing in an Arizona canyon. While cruising through, several members of our team shooting photos overheard a shocked woman on an atv say “well, a car that expensive better do the laundry”. The purpose behind this project was finding a vehicle that could traverse the back-country while still being a pleasure to drive every day on pavement. Everyone has different things they want in a vehicle so for those of you who didn’t read Part 1, here is a basic list of what I looked for in a daily driver. Exceeded Expectations – With a 300 horsepower V8, the Sport certainly gets the job done in this category. 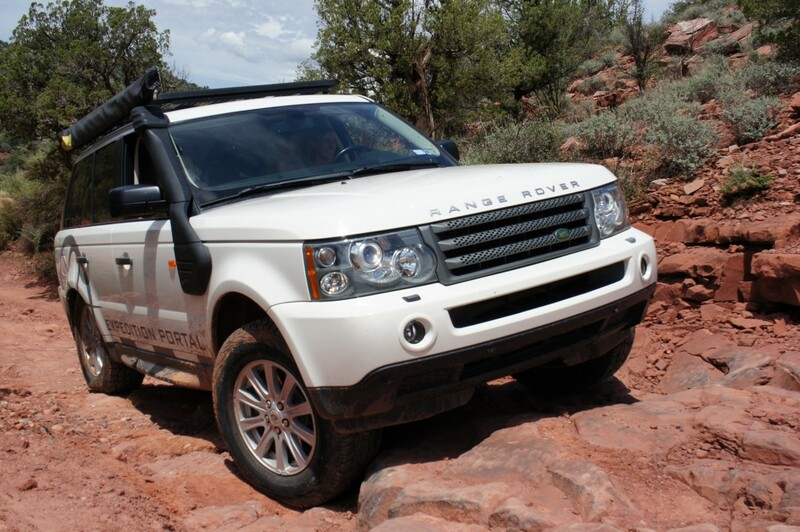 At sea level the motor produces enough power to make it a rocket ship compared to most four wheel drives, and at high elevation hill climbs and passing are still quick and easy. 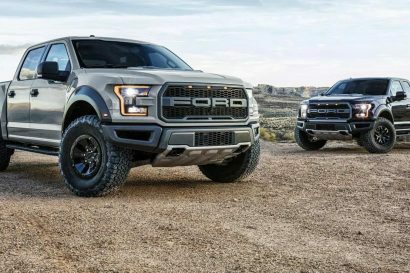 Highway performance is excellent as expected, with the truck tending to slip to higher speeds due to the excess power instead of struggling against its own weight. Of course all of this does come at a price. Depending on driving habits we see an average of just 14 MPG in town and 18 MPG on the highway. This drops to 12.5 average when towing. Met Expectations – It sounds ridiculous to say this was a requirement, but a German shepherd has the ability to make a cloth interior look like a disaster zone. Exceeded Expectations – The interior of the Range Rover Sport and the overall impression you get of the vehicle when driving is superb. Its a blend of components feeling solid, heavy, and well made, with materials that are rich yet soft like leather. As a nice change from a lot of 4x4s, the Sport’s cabin is almost dead quiet when driving at any speed. There’s no howling sounds from wind noise, no whine from the tires, just a smooth firm ride and the silence. 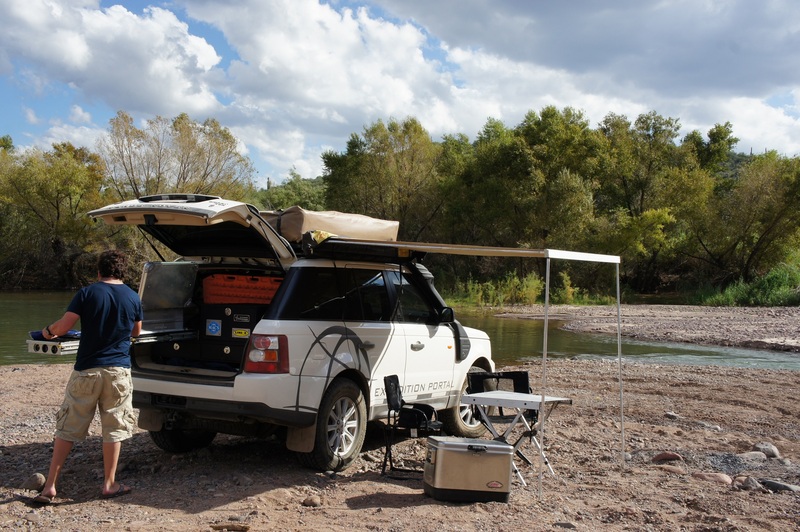 Even with the addition of a rack and roof tent, the vehicles sound deadening provides for just the slightest increase in background noise. The best part however, may be the design of the seats. Besides being perfectly bolstered to keep you in place off-road, they are the most comfortable seats of any car I’ve driven. Even on days where I’m driving thirteen hours, I arrive with no soreness in my back feeling rested and ready to explore. 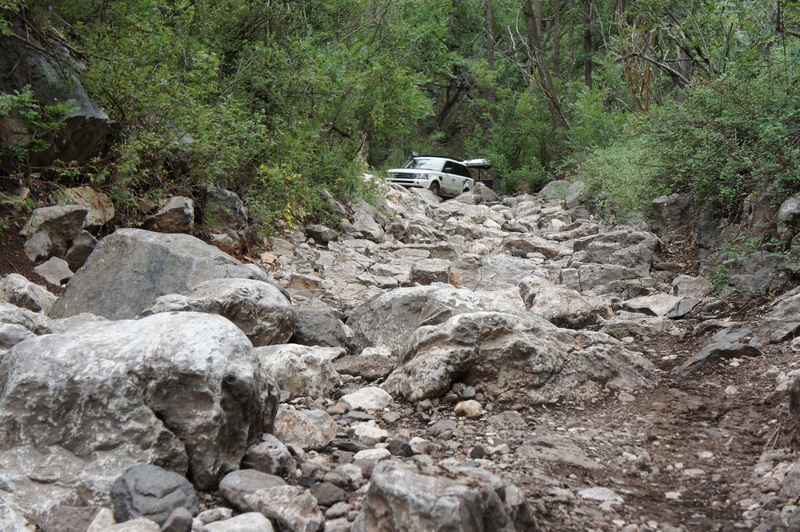 Did Not Meet Expectations – This is certainly an area in which the vehicle fell short of my hopes. While the air suspension was significantly softer than that of my previous vehicles, it was still firmer than a high end coil over setup and even other Land Rovers I’ve driven. I have no doubt that this is due to the sportier suspension setup of this vehicle, the increased pressure in the airbags due to the Johnson Rods, and the fact that the airbags have 84,000 miles on them. A look that is presentable and professional. 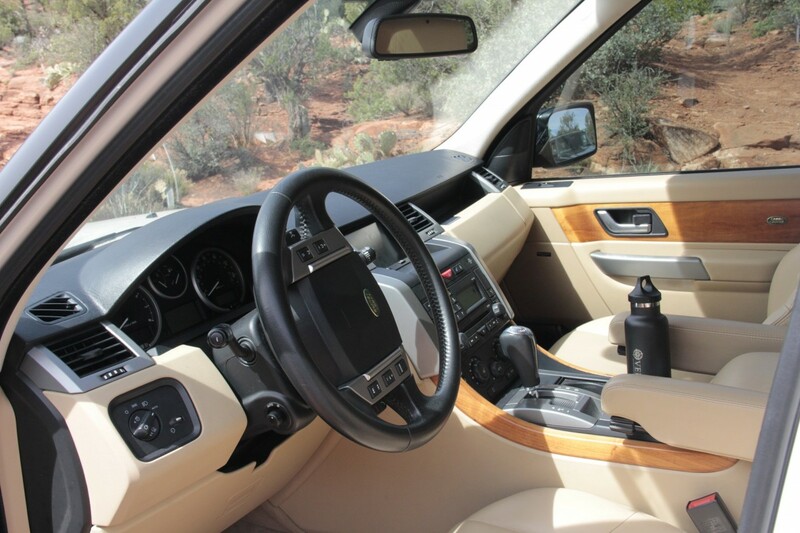 Met Expectations – This is very subjective, however I feel that the Range Rover Sport is a great looking vehicle that is just as at home in the back country as it is at the country club. 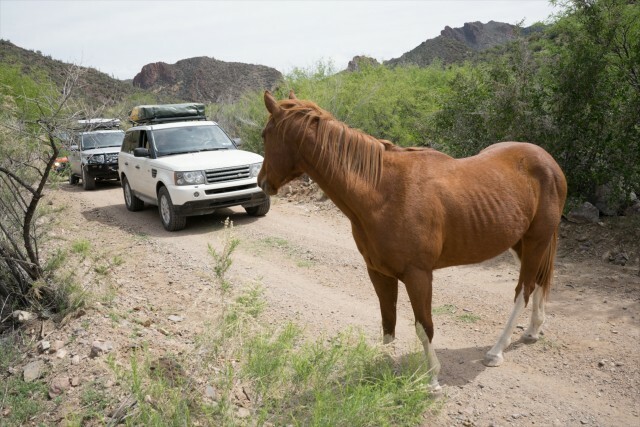 When on the trail it got plenty of surprised looks and positive feedback, but it also received plenty of compliments in upscale areas of Phoenix. I’m not a frequent patron of high end restaurants, however the one time I had the Sport valeted they parked it right out front next to a Bentley. Overall it has been a fantastic car to drive every day. 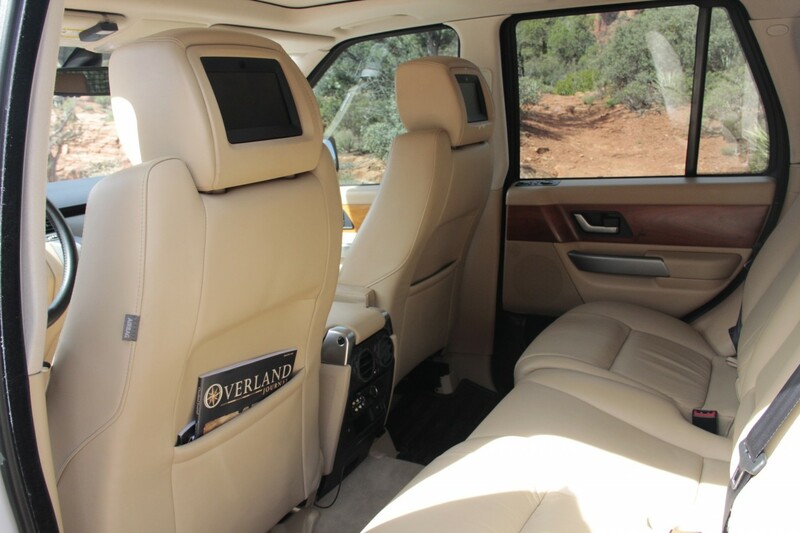 The combination of comfortable seats, a V8 motor, and a quiet cabin make the trip across town or across the country relaxing and enjoyable. One of the realities for many SUVs, especially those around our office, is that they will be required to tow a trailer from time to time. 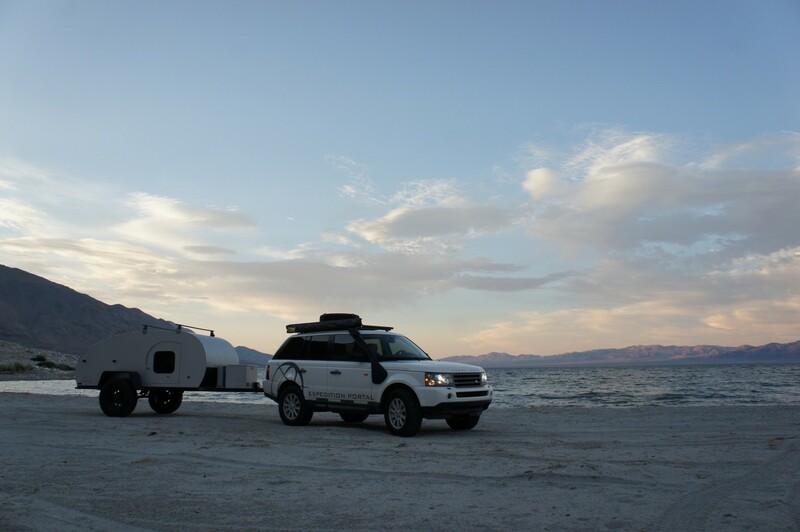 Because we haul anything from motorcycles to car parts, scrap material to off-road trailers like the one pictured above, the Sport would need a sufficient wheel-base to control the trailer as well as sufficient towing capacity to be up to the task. While it may seem short compared to the modern full-body Range Rover, the Sport actually shares the same wheel base as the P-38 and the LWB Range Rover Classic at 108 inches. When combined with the V8 and drivetrain strength the tow capacity comes to an impressive 7,716lbs, and believe me it shows. We started by towing lighter trailers hauling gear and parts to and from storage facilities. During these tests the trailer felt practically non-existent behind us. Unless you made an effort to focus on the small changes in braking, we weren’t running a brake controller, you would never realize there was anything behind the vehicle. Once we were hauling heavier loads the Sport continued to pull flawlessly making even the biggest climbs seem like a walk in the park. Braking was smooth and effective as well with no fading on big descents. On mountain curves, high speeds, and even when encountering rough uneven surfaces which bounced the trailer, the Sport remained very stable and under control. 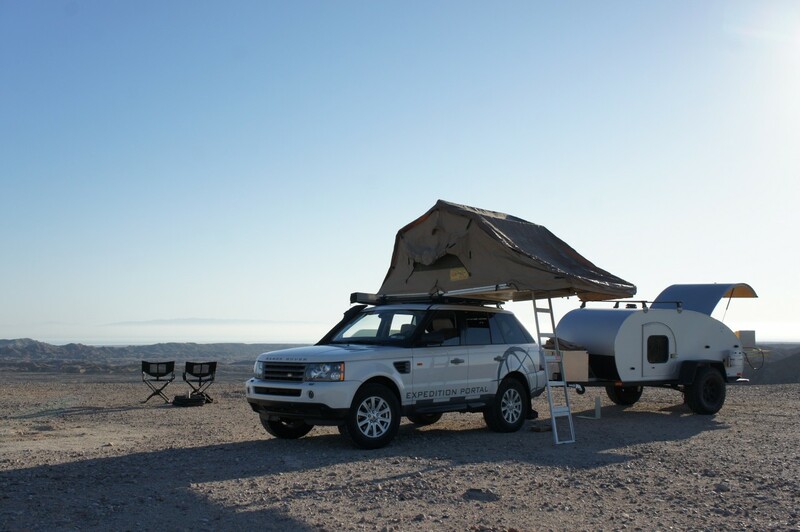 After towing the same trailers with our LR4, I would say that the “sport” influence was beneficial for the positive behavior in this category. 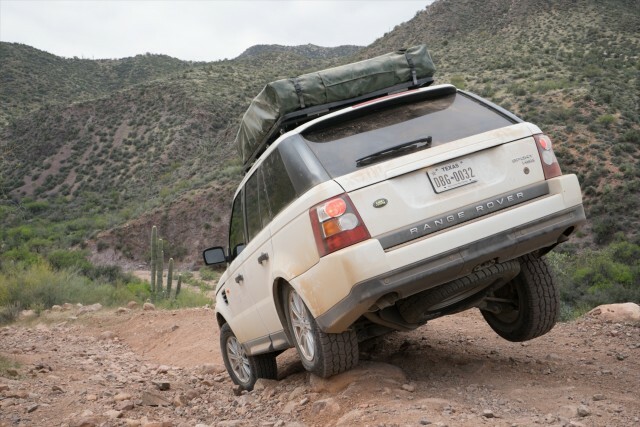 Ah yes, the moment we’ve all been waiting for, the Land Rover’s Achilles heel, reliability. For such amazingly capable pieces of engineering, these trucks are most often known for their maintenance horror stories, and for good reason. 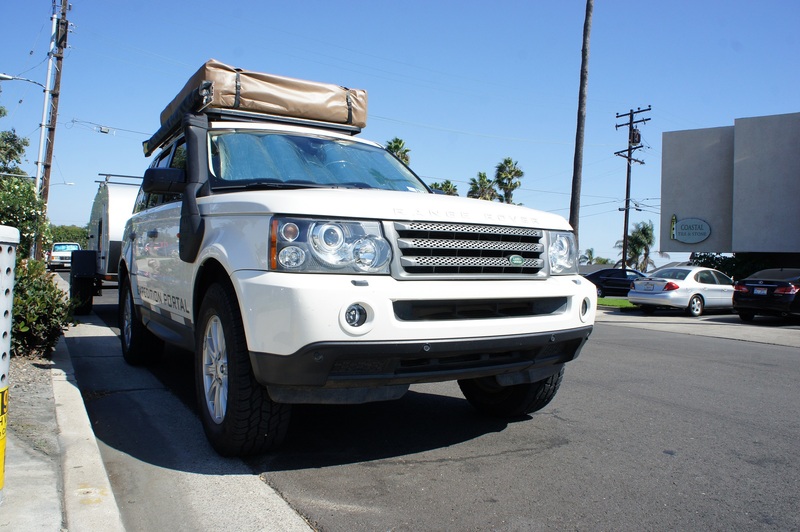 Tales of electronics shorting, air suspensions failing, and oil flowing out of every crack and crevasse like a reenactment of the Exxon Valdez are common among owners of old Landys and Rangies, however it would appear that things are beginning to change. Over the past year the Range Rover Sport has performed nearly without issue and despite all the jokes about finding a tow truck, has never left us stranded. Range Rover Classic, P38, and Discovery owners know that’s a big deal. At 84,000 miles the air suspension is original, no drive-train components, electronic bits, or expensive computers have had to be changed, and there has only been ONE replacement part installed. 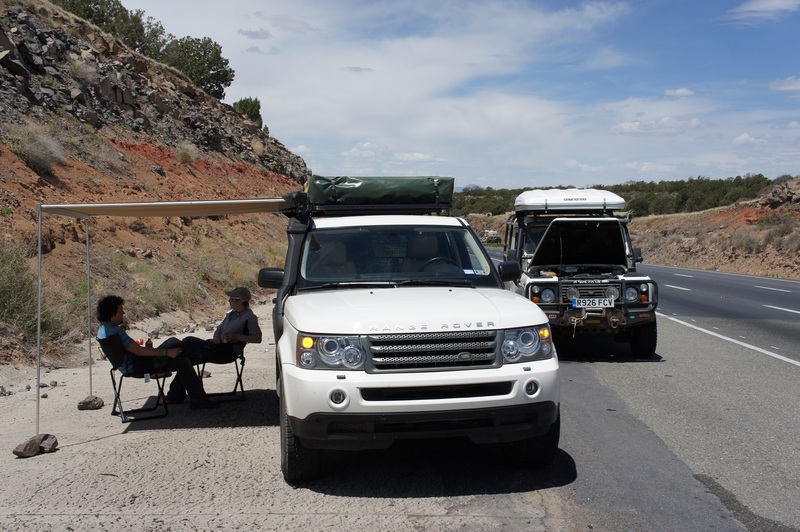 In fact, my only time spent on the side of the road was helping other broken down vehicles, like the Defender above. So what was this lone part changed out? It was of course the air compressor for the suspension. The compressors are known to only be good for around 70,000 miles, at which point the constant lowering, raising, and leveling of the vehicle takes its toll. While ours never failed, the slow fill times told us it was time to switch before it stopped working somewhere in the back-country. 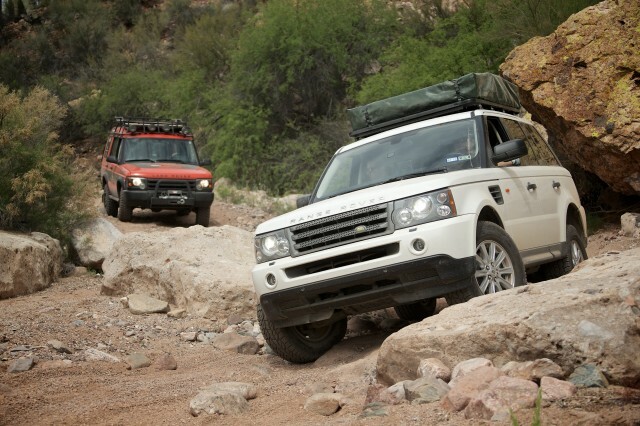 It’s imperative with ALL vehicles to do preventative maintenance, especially when overlanding. 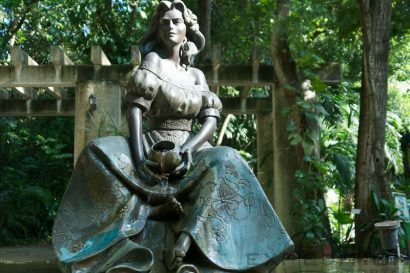 Conclusions – Is it what I hoped for? The Range Rover Sport has certainly been a great vehicle over the past year and the short answer to the above question is it’s better than I’d hoped for. As a daily driver providing comfort, power, and handling, it was exactly what I was looking for. Driving to work every day was a pleasure and road trips became easy and enjoyable with zero pain from sitting all day. The Sport also performed better off-road than I ever expected. 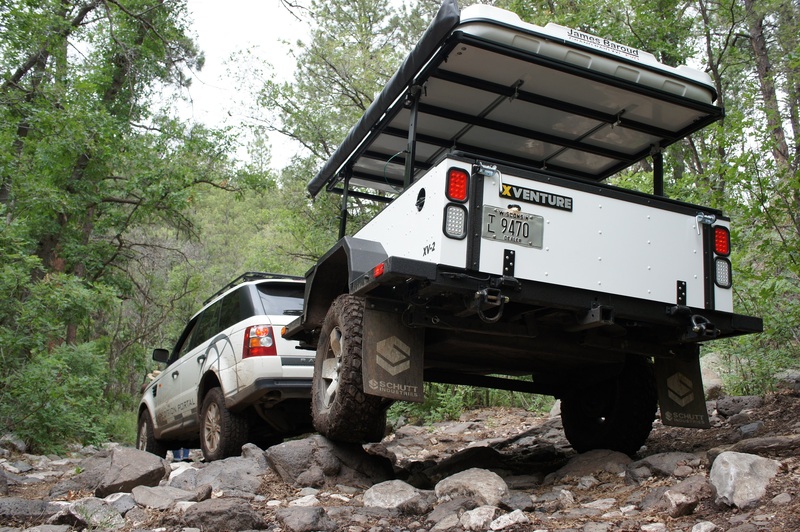 The traction control systems, air suspension, and Cooper tires made an easy job of some of the toughest trails, even when hauling a trailer. The defining factor of my love for this vehicle however is it’s ability to make the driving experience enjoyable no matter where you are. The back country and trails were as great as ever, however the paved roads on the way there went from being a boring cruise to an exciting drive. Even when loaded, the Sport carves around corners without hesitation and tears up mountain roads like no other SUV I’ve driven. Although many people will claim their vehicle is best, it’s clear that there is no perfect vehicle for everyone. Some people will drive a Jeep Wrangler for top trail performance, others will drive a Series Land Rover to explore in a classic, and some will drive a Land Cruiser for reliability. 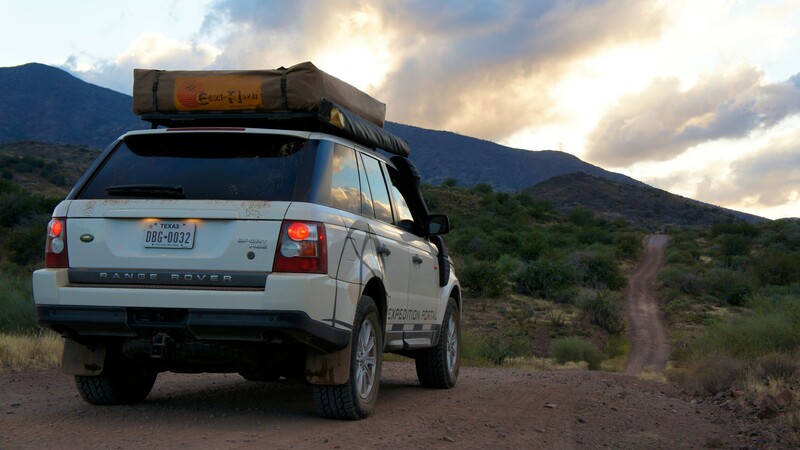 Personally, I want to enjoy driving every section of a journey from the back roads to aggressive mountain curves, and for that the Range Rover Sport is hard to beat. What rims did you use? I don’t think my 2010 sport had an 18″ wheel option.